Having a jungle/ safari party? 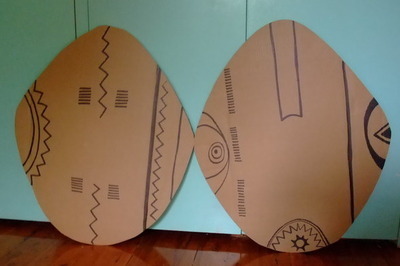 Use leftover cardboard packaging to make large Tribal Shields. 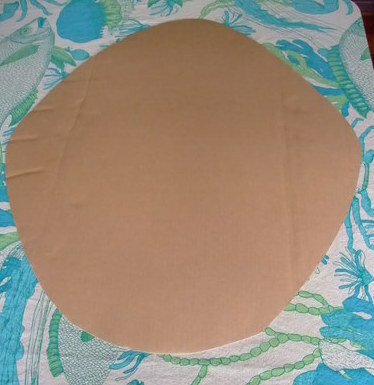 Cut cardboard into large circular shield shape. 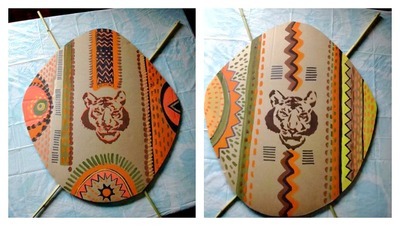 With a sharpie black marker, decorate your shields with zig zags, suns and lines. 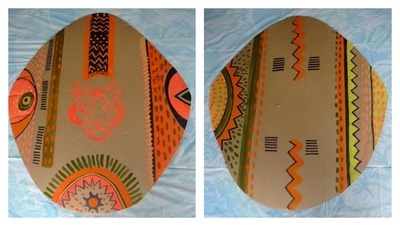 Choose bright earthy colours.. greens, yellows, oranges and browns, and paint your cardboard shield. Use different types and size brushes to make different brush strokes. 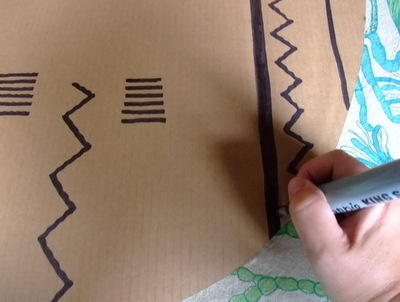 To keep the kids engaged, use fruit or vegetables to make patterns. A carrot sliced down the centre can make nice moon shapes. Cut an apple in quarters or a brussel sprout in half for interesting patterns. Chris cross and sticky tape sticks to the back. Use as a party prop up against a hedge, flagging either side of the food table or however you like. 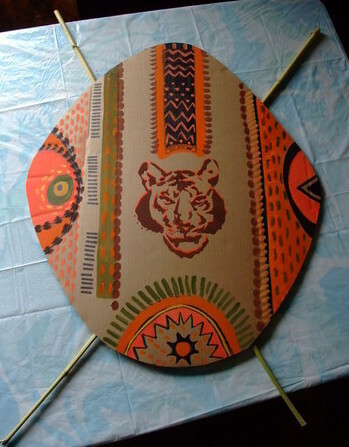 The tiger stencil is a bit tricky for little fingers, however for more info on Mr Tiger check out my Speckledsydney blog.